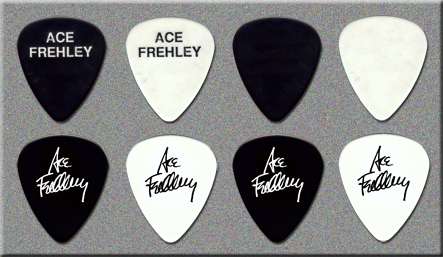 white on black - Frehley's Comet logo / sig. 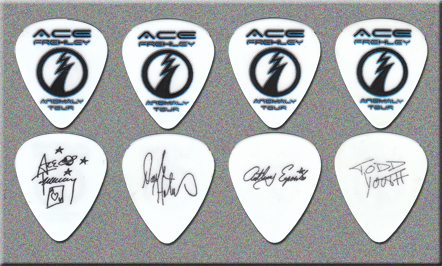 white on dark green - Frehley's Comet logo / sig. white on brown - Frehley's Comet logo / sig. white on light pink - Frehley's Comet logo / sig. 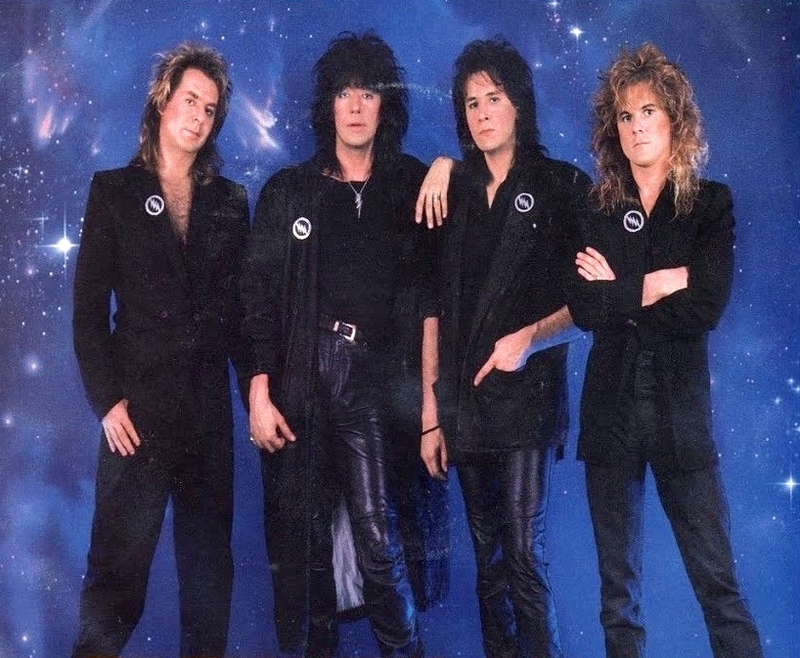 white on fuchsia - Frehley's Comet logo / sig. white on berry - Frehley's Comet logo / sig. white on maroon - Frehley's Comet logo / sig. white on lavender - Frehley's Comet logo / sig. white on red - Frehley's Comet logo / sig. yellow on black - Frehley's Comet logo / sig. yellow on berry - Frehley's Comet logo / sig. yellow on light purple - Frehley's Comet logo / sig. red on light pink - Frehley's Comet logo / sig. red on white - Frehley's Comet logo / sig. red on off-white - Frehley's Comet logo / sig. black on light pink - Frehley's Comet logo / sig. black on yellow - Frehley's Comet logo / sig. black on gray - Frehley's Comet logo / sig. 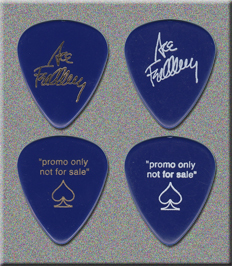 white on green - signature / "promo only not for sale"
white on blue - signature / "promo only not for sale"
Ace's picture (smaller face) / Gibson USA - silver on black. Heavy gauge. 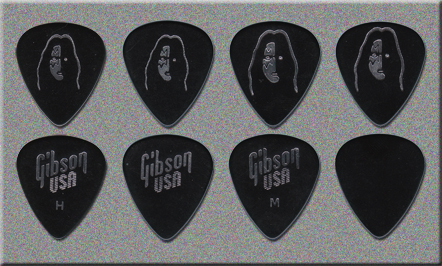 Ace's picture (smaller face) / Gibson USA - silver on black. Medium gauge. 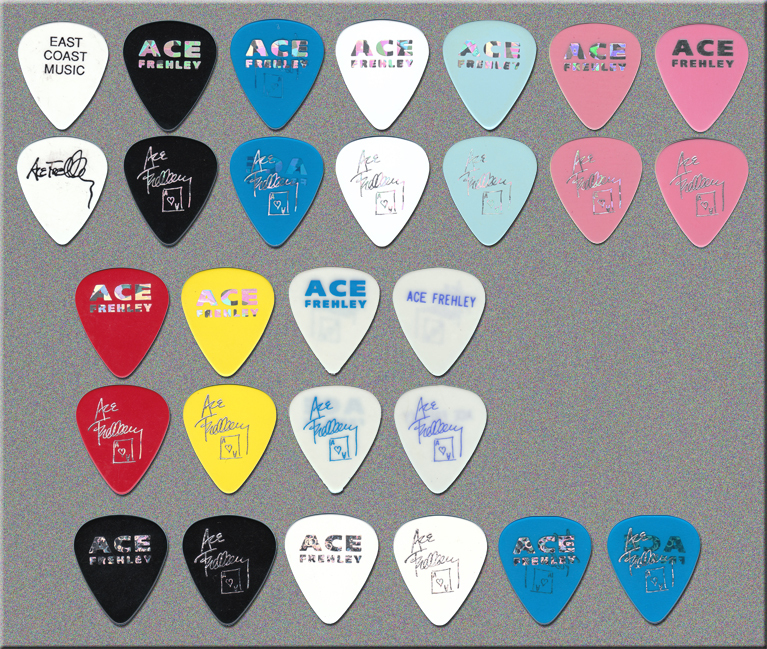 Ace's picture (larger face) / blank on back. Heavy gauge. 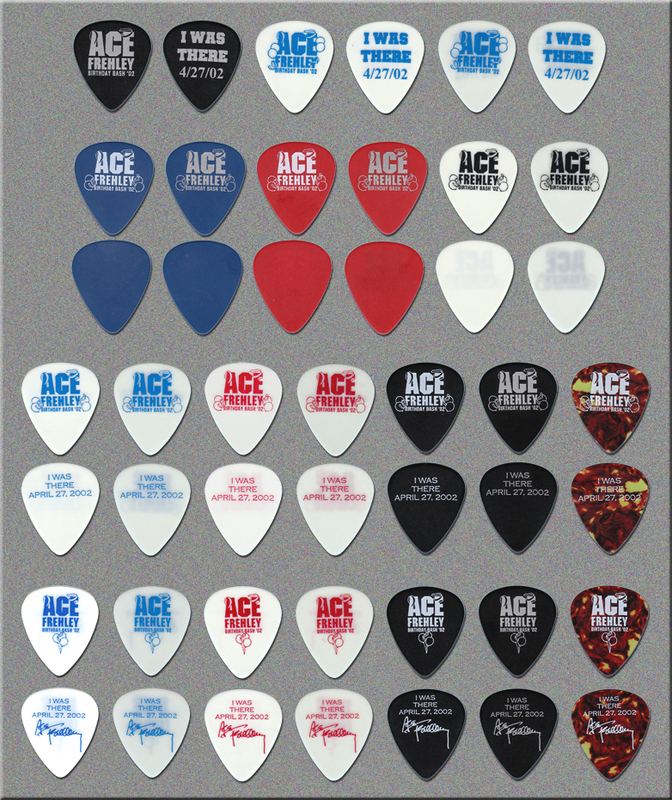 Ace's picture (larger face) / Gibson USA - gold on tortoise. Has different Gibson logo on back.